Timothy | Challenging the perceptions for our realities! 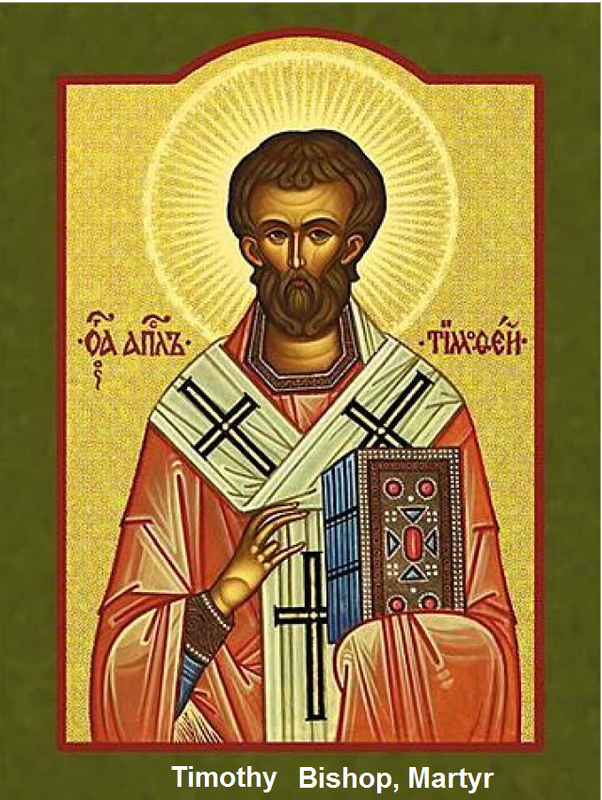 Timothy (Greek: Τιμόθεος; Timótheos, meaning “honoring God” or “honored by God”) was the first first-century Christian bishop of Ephesus, whom tradition relates died around the year AD 97. He was from the Lycaonian city of Lystra in Asia Minor, became Paul’s disciple, and later his companion and co-worker. The New Testament indicates that Timothy traveled with Saint Paul, who was also his mentor. Paul entrusted him with important assignments. He is addressed as the recipient of the Epistles to Timothy. Timothy was a native of Lystra in Lycaonia, (Anatolia). When Paul and Barnabas first visited Lystra, Paul healed one crippled from birth, leading many of the inhabitants to accept his teaching. When he returned a few years later with Silas, Timothy was already a respected member of the Christian congregation, as were his grandmother Lois and his mother Eunice, both Jews. In 2 Timothy 1:5, his mother and grandmother are noted as eminent for their piety and faith. Timothy is said to have been acquainted with the Scriptures since childhood. In 1 Corinthians 16:10 there is a suggestion that he was by nature reserved and timid. (“When Timothy comes, see that you put him at ease among you, for he is doing the work of the Lord…”). Timothy’s father was Greek – that is, not a Jew. Timothy had not been circumcised, and Paul now ensured that this was done, according to the text, to ensure Timothy’s acceptability to the Jews they would be evangelizing. According to McGarvey: “Yet we see him in the case before us, circumcising Timothy with his own hand, and this “on account of certain Jews who were in those quarters”. Rembrandt’s Timothy and his grandmother, 1648. He became St Paul’s disciple, and later his constant companion and co-worker in preaching. In the year 52, Paul and Silas took Timothy along with them on their journey to Macedonia. Augustine extols his zeal and disinterestedness in immediately forsaking his country, his house, and his parents, to follow the apostle, to share in his poverty and sufferings. Timothy may have been subject to ill health or “frequent ailments”, and Paul encouraged him to “use a little wine for thy stomach’s sake”. When Paul went on to Athens, Silas and Timothy stayed for some time at Beroea and Thessalonica before joining Paul at Corinth. Timothy next appears in Acts during Paul’s stay in Ephesus (54-57), and in late 56 or early 57 Paul sent him forth to Macedonia with the aim that he would eventually arrive at Corinth. Timothy arrived at Corinth just after 1 Corinthians reached that city. The letter was not well received, and Timothy quickly returned to Ephesus to report this to Paul. Timothy was with Paul in Corinth during the winter of 57-58 when Paul dispatched his Letter to the Romans. According to Acts 20:3-6, Timothy was with Paul in Macedonia just before Passover 58; he left the city before Paul, going ahead of him to await Paul in Troas. “That is the last mention of Timothy in Acts,” Raymond Brown notes. In the year 64, Paul left St. Timothy at Ephesus, to govern that church. His relationship with Paul was close. Paul entrusted him with missions of great importance. Timothy’s name appears as the co-author on 2 Corinthians, Philippians, Colossians, 1 Thessalonians, 2 Thessalonians, and Philemon. Paul wrote to the Philippians about Timothy, “I have no one like him.” When Paul was in prison and awaiting martyrdom, he summoned his faithful friend, Timothy, for a last farewell. The apocryphal Acts of Timothy states that in the year 97, the 80 year old bishop tried to halt a procession in honor of the goddess Diana by preaching the gospel. The angry pagans beat him, dragged him through the streets, and stoned him to death. Timothy is venerated as an apostle, saint and martyr by the Eastern Orthodox Church, with his feast day on 22 January. The General Roman Calendar venerates Timothy together with Titus with a memorial on 26 January, the day after the Feast of the Conversion of Saint Paul. From the 13th century until 1969 the feast of Timothy (alone) was on 24 January, the day before that of the Conversion of Saint Paul. Along with Titus and Silas, Timothy is commemorated by the Evangelical Lutheran Church in America and the Episcopal Church on 26 January. Timothy’s feast is kept by the Lutheran Church–Missouri Synod on 24 January. In the 4th century the relics of Timothy were transferred to Constantinople and placed in the church of the Holy Apostles near the tombs of St Andrew and St Luke. Timothy is the patron invoked against stomach ailments.